Despite being surrounded by the Alps and bordering the Salzburg - the state made famous by singing family, von Trapps - Michael Grabner never felt the urge to ‘climb every mountain’ and sing to his heart’s content in Villach, Austria. 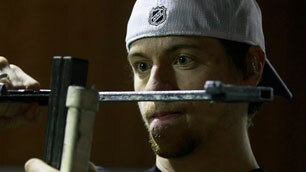 Instead, he took a mountain much less travelled when he decided he wanted to be an NHL player in North America. 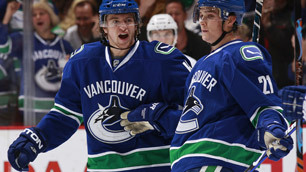 Since being drafted in the first round, 14th overall in the 2006 NHL entry draft by the Canucks, expectations were high and after three years, he stepped foot on NHL ice. He calls it luck, others would say skill, and yet others, just plain old perseverance. As Maria von Trapp tried to find her way through the Abbey, Grabner ‘searched high and low” and “every path he knew”, which luckily also found him. One person Grabner credits played a huge part in his career is Greg Holst. After playing four years of professional hockey in North America, the Montreal-born, Holst went over seas to Austria in 1979 before retiring in 1993. 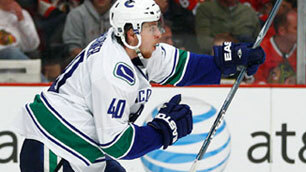 He then went on to take his place behind the bench of Villacher SV, where he and Grabner crossed paths. And so he did. Holst’s connection with Spokane Chiefs GM, Tim Speltz gave Grabner exposure to the North American hockey leagues. 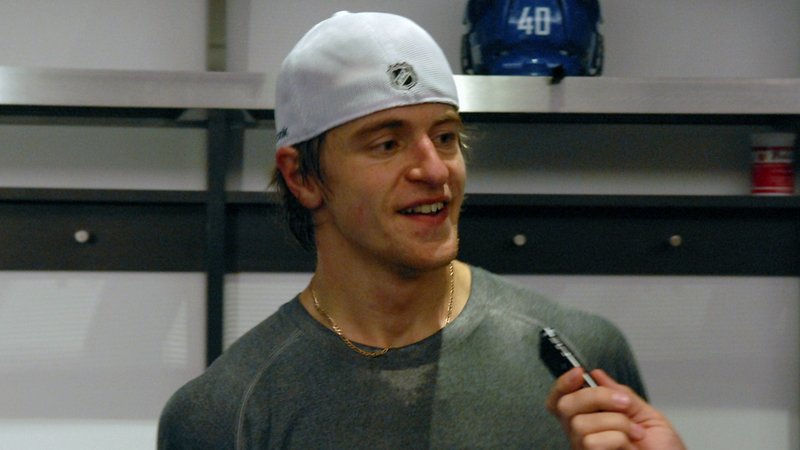 Grabner was drafted by the Chiefs in 2004, entering the WHL at the age of 16 after playing a year in the Austrian men’s league. Three years later, he got his first taste of professional hockey with the Manitoba Moose before becoming a full-time pro the next season. Fast forward to April 2010: Game two of the NHL playoffs in Vancouver in front of 18,810 hockey fans. The Villach-native seemingly climbed his Alps and entered the biggest stage of professional hockey. It is said time and time again that playoff hockey is like no other but until the moment comes, there’s really no way to tell. “We went pretty far last year [in Manitoba] but it wasn’t like [GM Place]. I’ve heard about it and I saw it on tv but the first game I watched here for the playoffs was really loud. I wish I could’ve been out there but the second game was the same as the first one with great atmosphere and the fans were amazing. Grabner played just 2:53 in his first playoff game, where the Canucks dropped a 3-2 decision to the LA Kings but the experience he earned in that first game will set him up for the rest of his first NHL post-season run. 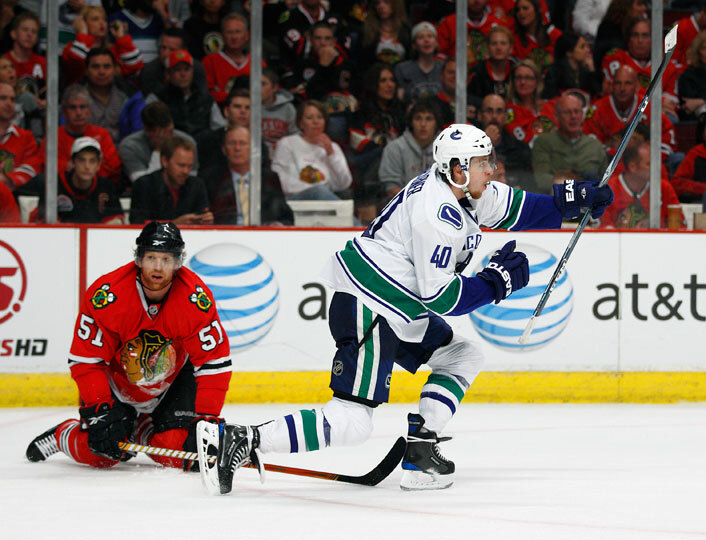 In 20 regular season games with the Canucks, Grabner scored five goals, with none more significant than his first NHL goal in a 3-2 win against the Chicago Blackhawks. Six months later, he records his first playoff goal against the Blackhawks in a lop-sided game one of the Western Conference semi-final. Less than half the NHL rookies have a goal credited to their name during the post-season. “It was nice to get it out of the way. I got a couple of chances early on in some other games but it was nice to get it. Grabner is the lone rookie on the Canucks in the post-season and one of two in the series against the Blackhawks with Chicago’s Brian Bickell being the other. Grabner has seen ice time in four of the five games of the series, while Bickell hasn’t dressed since game one. Since that first game against the Kings, he has increased his ice time, averaging 8:16 in the playoffs. He keeps both his first NHL goal and playoff goal pucks at his girlfriend’s home in Spokane to remember his first year accomplishments with the Canucks. Of only just three active Austrian players in the League, Grabner is on track to making history and since hoping he could make it in North America, he’s showing that he’s can. These days he’s a closer to the Rockies than the Alps but he doesn’t forget home and they don’t forget about him - even if his family has to watch at three in the morning. As his anchor, they’re the first ones to get the updates, despite being an ocean and mountain peaks away. And as Maria von Trapp believed “Follow every rainbow, till you find your dream” and Grabner is doing just that but he’s only just getting started.